In a blender combine avocado, pickle brine, vinegar, salt, and pepper. Blend until smooth. Taste and season with salt if needed. Toss half of dressing with rice. 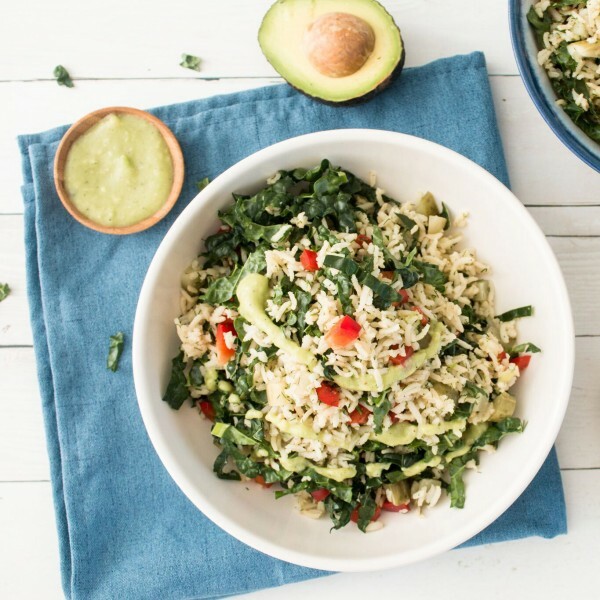 In a large bowl toss together rice, kale, pepper, pickles, and dill. Drizzle with more dressing and top with more chopped dill.